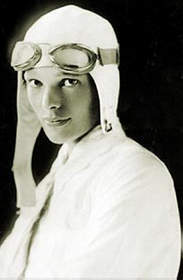 PROVO, UT--(Marketwire - October 23, 2009) - There are multiple theories surrounding the mysterious disappearance of iconic aviator Amelia Earhart in 1937, but a unique case file published online for the first time ever by Ancestry.com reveals more details. Ancestry.com, the world's largest online resource for family history, has published a 73-page file consisting of letters and telegrams sent in the 1960s by an interesting cast of historical characters, including Congressman J. Arthur Younger, U.S. Ambassador to Japan Douglas MacArthur II and members of the U.S. Navy and U.S. Department of State. 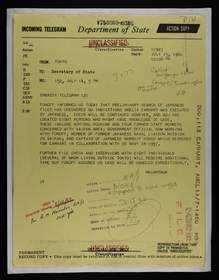 Now accessible for free on Ancestry.com, the records give the public a first-hand view of the investigation into the claim that Earhart and her navigator Fred Noonan were taken prisoner and executed in Saipan (then governed by Japan). Through the years, this adaptation of Earhart's death has become one of many theories surrounding her mystery-riddled disappearance. "These records leave you wondering if historians and Hollywood have gotten Amelia's story right," said Quinton Atkinson, director of content acquisition for Ancestry.com. "They shed light on a theory of her disappearance that has all but been brushed aside." In the records, Congressman Younger asks the U.S. Department of State to look into Earhart's disappearance based on "increasing evidence that she did land and was executed in Saipan." Younger asked the department to investigate a lead by Thomas E. Devine, who stated that "he actually saw the grave of Amelia Earhart" while he was stationed in Saipan. "It's been more than 70 years, yet Amelia's disappearance remains one of America's greatest unsolved mysteries," said Atkinson. "These files are a great representation of how historical records offer clues to our past. With records like these now accessible online, Americans can delve deeper into the mysteries and lore that shroud their family histories." 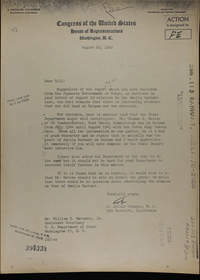 The Earhart file is part of the Reports of Deaths of American Citizens Abroad collection on Ancestry.com, now searchable for free for a limited time. Digitized in conjunction with the National Archives and Records Administration (NARA), this Reports of Deaths of American Citizens Abroad collection spans the 1960s and 1970s and comprises more than 80,000 records of Americans who died abroad. Whether a conspiracy theorist, a casual historian or simply curious -- learn more about the investigation into Amelia Earhart's disappearance and decide for yourself what happened by visiting www.ancestry.com/amelia. Or see if you have a hero in your own family tree on Ancestry.com.